If you’re considering switching out your front door for a more intricate and detailed decorative glass door, you are about to be overwhelmed with the amount of options that you get to choose from! When most people think of the options that come with choosing a front door, they don’t ever expect as many as the ones that come once you’ve decided on a decorative glass door insert for a front door. At Your Door, Our Glass, we have plenty of options that allow for you to make your front door the custom door that you have always wanted. Aside from iron inserts and the frame that holds it, you will also have to determine what type of glass you would like to use. 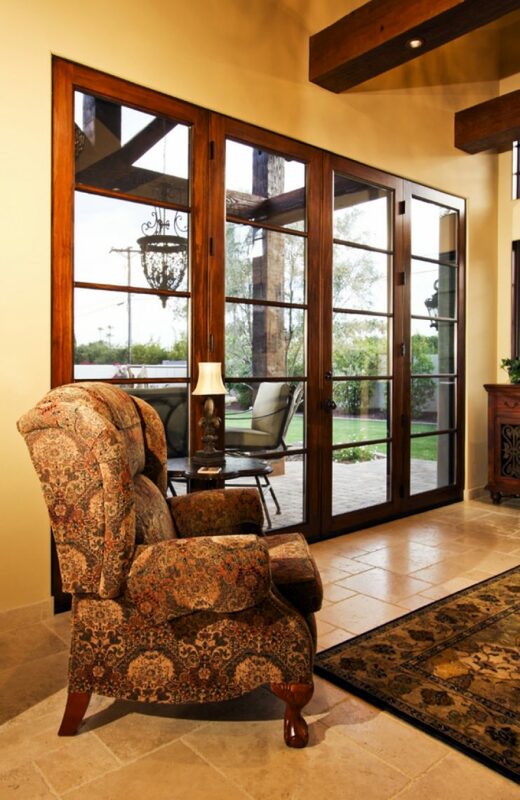 In our blog post today, we take a deeper look into a few of the more common types of glass used in decorative glass doors. If privacy is still something that you’d like to achieve with your glass door, then textured glass is an absolute most. This type of glass can come in a few different styles, but the primary benefit to choosing this glass is that you still have the appeal of a glass door, without the ease of looking directly into your home. Choosing a nice variation of your glass can provide your home with a texture, some personality and a different type of feel. You can choose from frosted, scalloped, glazed, beveled, water glass, ripple and more when it comes to textured glass. The options are endless! of inserts in the front door, choosing to go with stained glass for your front door insert is something that you may want to take time to look into, but one that will also leave a beautiful impression immediately upon entry. For homes that are taking a more modern approach, the clear glass look is one that we have seen quite often. This look is one that gives off a very open look and feel. If you are considering having a clear glass door, then you could also consider whether or not you’d like the surrounding frame to be entirely glass as well, which would continue to provide an open feel into the home and contribute to the overall look of the home. This approach is one that doesn’t require as much thought process and organization to decide upon, since it is pretty simple and to the point. Whichever type of decorative glass door you do decide to go with, you can count on our glass door company to get the job done. Stop by our store in Temecula and give us the chance to help you find the door that you have in mind. We can help you out by providing you with a few options so that you can get a better idea of what type of style you’d like to see incorporated into your home.